One of the greatest tragedies to befall humanity is the disease of racism. Racism has existed on many levels and has come about in many different shapes and forms. In recent history, the racism exhibited by whites against Africans and Native Americans has been noteworthy. Millions of Africans were brought into slavery. In the United States and South Africa, African Americans were discriminated against on every level of society. This still continues to happen today. Another form of prevalent racism is what we call anti-Semitism. Anti-Semitism comes in many forms. The most prominent form of anti-Semitism is against Jews. Jews had to face pogrom after pogrom in Europe until it culminated into the widespread genocide committed against them by Nazi Germany. Unfortunately, no civilization or religious group have escaped racism. Racism, unfortunately, has also existed among Muslims. 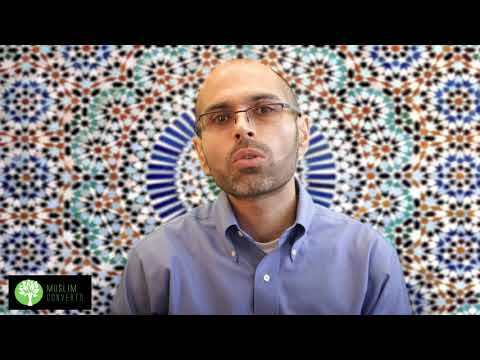 In this lesson, we will look at Islam’s position on racism and its promotion of equality, whether it is between races or genders. Our point here is to show that even if Muslims display racism at times, it completely goes against the values of Islam. Our other lessons usually take the shape of a standard lecture. Here we want to do less of that formal talk and instead let Islam speak through its verses and hadiths. So what we’ll do is quote verses from the Qur’an and sayings from the Prophet (s) concerning racism and give some short commentaries regarding them. The children of Adam refers to the whole of humanity. God is talking about His absolute preference for them over His other creation, including animals and jinn. When God says He “honored the children of Adam” it means that He has honored both men and women, children and adults, and humans of all races and economic and social classes. Some people think that God honored all of humankind, but somehow He honored some more than others. They think that He honored whites over blacks, of blacks over whites, or men over women, or women over men, or rich over poor. The honor, however, is an equal honor that applies to all. The ONLY people are superior to others is in piety, consciousness of God and righteousness. In other words, the closer you are to God, the higher in rank and value you are in the eyes of God. The Messenger of Allah said: O people, your Lord is one and your father Adam is one. There is no virtue of an Arab over a foreigner nor a foreigner over an Arab, and neither white skin over black skin nor black skin over white skin, except by righteousness. Have I not delivered the message? O people, Allah has removed the slogans of ignorance from you and the exaltation of its forefathers. The people are only two kinds: either a righteous, Godfearing believer dignified to Allah, or a wicked, miserable sinner insignificant to Allah. The people are all the children of Adam and Adam was created from dust. Allah said: O people, We have created you male and female and made you into nations and tribes that you may know one another. Verily, the most noble to Allah is the most righteous of you. The above hadith is also speaking about the equality of all human beings. Both men and women are mentioned. Men and women only surpass each other in righteousness, that’s all. Being equal of course does not mean their responsibilities are the same. Islam has delegated different responsibilities and rights for them, but this does not mean that as humans or in the sight of God that one has more value than the other! The Qur’an states that Jews also have a chance at salvation, that is, if they are faithful to God and believe in Him, the Day of Judgment and do righteous deeds. Allah obviously saw some good in Jews when He bestowed His favor upon them. He also sees good in them to the extent that they can even find salvation in God. Yes, the Qur’an is full of criticisms of Jews, but this in no way justifies anti-Semitism. If the Qur’an criticizes Jews, the Qur’an criticizes Muslims and Arabs even more. In fact, it even criticizes the Prophet’s (s) companions and wives. So these criticisms in no way are restricted to Jews. Islam is against racism. In fact, Islam is one of the few premodern religions to have explicitly opposed racism of all kinds. This includes racism against people of different skin color, or against ethnic-religious groups like Jews. The honor, however, is an equal honor that applies to all. The ONLY thing which surpass others in is in piety, consciousness of God and righteousness. In other words, the closer you are to God, the higher in rank and value you are to Him and nothing else! So it doesn’t matter if you’re a man, woman, white, black, Arab, non-Arab, rich or poor, what counts here is righteousness and consciousness of God. Racism is a sin and may lead a person to hell. Are all humans equal in Islam? In terms of value in the eyes of God, yes. However, they have different responsibilities and duties, depending on their social position, gender and age. No, Islam believes that Jews can be sincere believers in God and can be a source of God’s favor if they are faithful to God and act morally. Does the Qur’an single out Jews as evil people? No. If Islam criticizes Jews, it criticizes Muslims and Arabs even more. Does Islam think women are inferior to men? There is not a single verse in the Qur’an that suggests that. To the contrary, the Qur’an often mentions both males and females together when offering them advice and addresses them on equal footing.